Nutrition for every cycle and every season. More cattlemen rely on Ragland. Proteins are quite simply the building blocks for life. Proteins are absolutely essential for healthy growth, reproduction and milk production in a herd. And, minerals are essential for proper digestion and overall health. 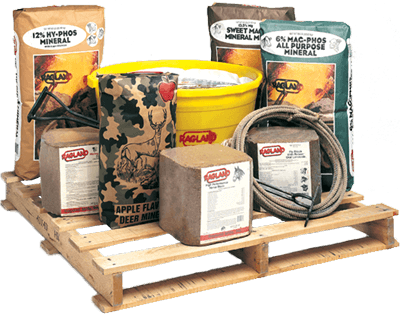 With Ragland’s carefully formulated and farm-tested supplements, you know your herds are getting the proper nutrition to stay strong and healthy year round. Whether you are currently a Ragland Dealer, or ready to start offering Ragland’s tested and tried products at your retail store, we have helpful resources and more information available. We look forward to working together. Ragland Mills has built a solid reputation as experts in nutritional livestock supplements. Ragland consistently leads the way with the latest technology and research to make certain you are receiving the highest quality and the greatest value on the market. Through the years, our pursuit to provide only the best has consistently proven why are supplements are the best choice. We don’t just focus on producing supplements; we concentrate on producing products that anticipate the needs of our customers. Palatable products with the nutrients essential to health and wellness. Durable products with Raingard Moisture Barrier to protect the minerals from hardening in the rain. And, we farm-test and prove everything with the Ragland name before it ever makes its way to your operation. For decades, dealers and stockmen have trusted Ragland to help build a more profitable herd, because through the years, Ragland has consistently proven why our supplements are the best choice.